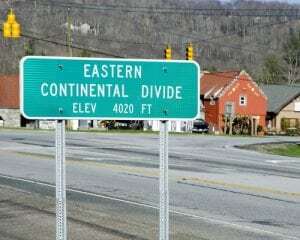 You and your spouse have been visiting Banner Elk, North Carolina for years and are considering moving to the area. What’s next? Where should you go to search for Banner Elk real estate for sale? Lucky for you, the folks at Antler Realty have over 65 years combined of real estate experience and would love to guide you through settling in to Mountain Life. Whether you are seeking a modest cabin on a private road or a glamorous condo along the pristine North Carolina High Country golf courses, we will carefully listen to your objectives and work with you in determining your individual needs. Whether you’re a family with young children or retired lovebirds, Banner Elk and the surrounding areas have exciting mountain-inspired activities year round. No matter what type of home you’re looking for, Antler Realty is guaranteed to find amazing Banner Elk real estate for sale that is close to an area of recreation if that’s your passion. The mild climate of the High Country makes the outdoors almost impossible to stay out of in the summer months. The phrase “Spring Fever” is more appropriately called “Summer Fever” in the North Carolina sections of the Blue Ridge Mountains. In warmer months, Grandfather Mountain is a hit with tourists and locals alike. A destination for naturalists for over 200 years, the Mountain is a whopping eighty feet from the bottom of the bridge to the bottom of the gorge. Attractions include Hiking Trails, Wildlife Habitats, the Mile High Swinging Bridge, and a Nature Museum. Children and adults are guaranteed to fall in love with the rescued cougars, eagles, deer, river otters, and black bears. Banner Elk winters are wonderful for the warm and cozy practice of hygge – the Danish lifestyle trend of seeking end enjoying all things warm and cozy in the freezing months. If you seek more of a thrill, consider visiting one of the many ski resorts in the area! Whatever your needs may be, our commitment to you begins with your first phone call. Stop by our office in downtown Banner Elk, North Carolina at 146 Shawneehaw Ave, give us a ring at (828) 898-3111 or email by clicking here. Let us show you the best Banner Elk real estate for sale at the time. You love to visit…is it time to stay?